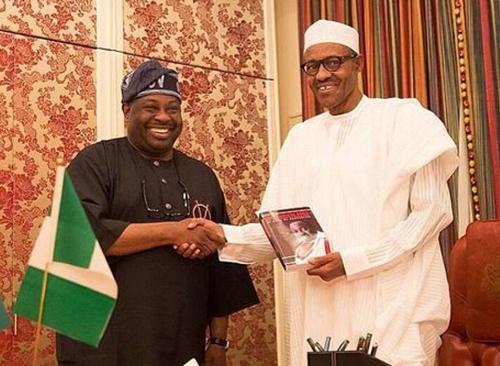 Journalist and publisher of Ovation International, Chief Dele Momodu has said that he wishes President Muhammadu Buhari could liberate himself. 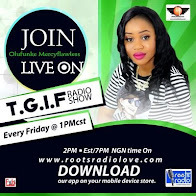 The businessman and motivational speaker, was speaking in reaction to the critical comments Aisha Buhari, the president’s wife, made about him recently. Recall that the first lady had asked Nigerians to stand up to the two people who are allegedly hindering the progressof her husband’s administration. She had said: “If 15.4 million people can bring in a government and only for the government to be dominated by two people or three people, where are the men of Nigeria? 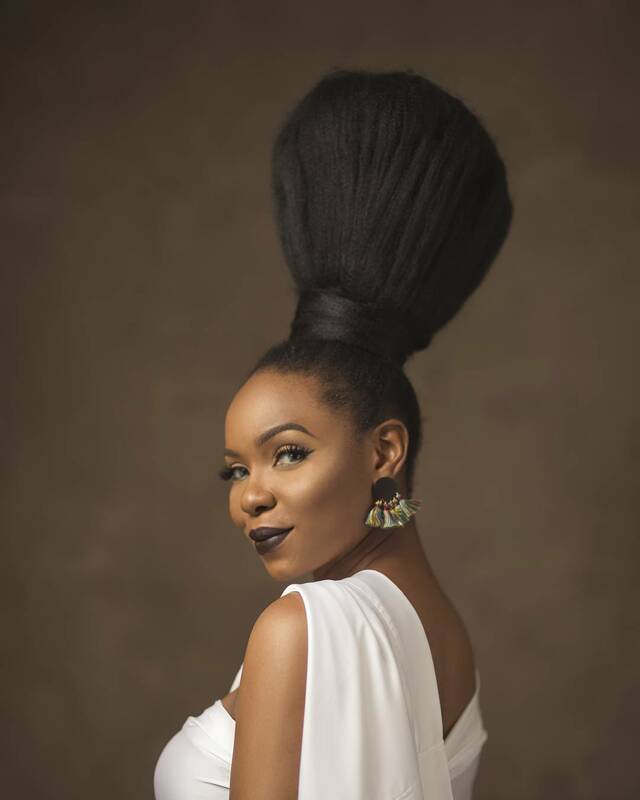 Where are the Nigerian men? What are you doing? Instead of them to come together and fight them, they keep visiting them one after the other licking their shoes (I’m sorry to use those words)." 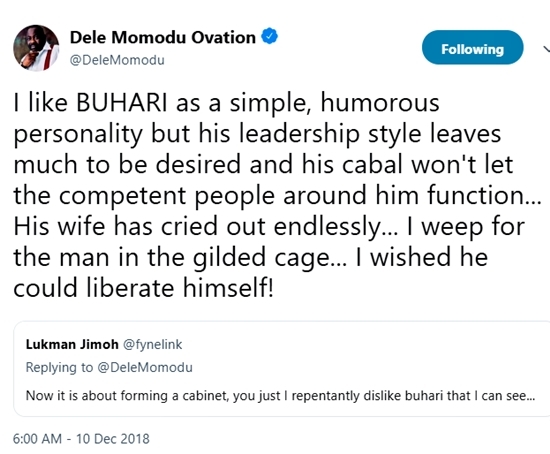 Taking to his official Twitter handle, Dele Momodu described Buhari as a man in “gilded cage”, adding that while he likes Buhari’s “humorous personality”, he does not like his leadership style.